Have been been on the hunt for the perfect Chrysler, Dodge, Jeep, Ram RAM 1500 or Jeep? Then now is the perfect time to get behind the wheel. 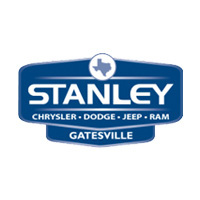 At Stanley Chrysler Dodge Jeep Ram Gatesville, we have plenty of used cars for sale near Gatesville, along with competitive pricing and a simple financing process. Even if you aren’t looking for a Chrysler, Dodge, Jeep, Ram, we also offer a selection of used cars from other makes. Find Your Perfect Used Vehicle at Stanley CDJR! Each and every vehicle in our pre-owned inventory has been been inspected for quality, and you can rely on our service department to keep your next car in top shape for years to come! We hope to be your trusted used car dealership near Gatesville.